Today I want to write about a fish with an amazing skill, the banded archerfish. These cool fish grow up to 30 cm long, but average about 20 cm. Banded archerfish have the amazing ability to spit water at insects, knocking them into the water so that they can eat them. They are incredibly accurate shots and larger fish can shoot up to 3 metres. To shoot water, they use their tongue to make a tube against the top of their mouth and quickly close their gills which pushes the water out. In addition to shooting insects, they also jump out of the water to catch food. They also eat small fish, crustaceans and plant matter. At breeding time, they lay about 3000 eggs at the top of the water. Banded archerfish are found in rivers, estuaries and brackish water throughout tropical Asia, New Guinea and northern Australia. 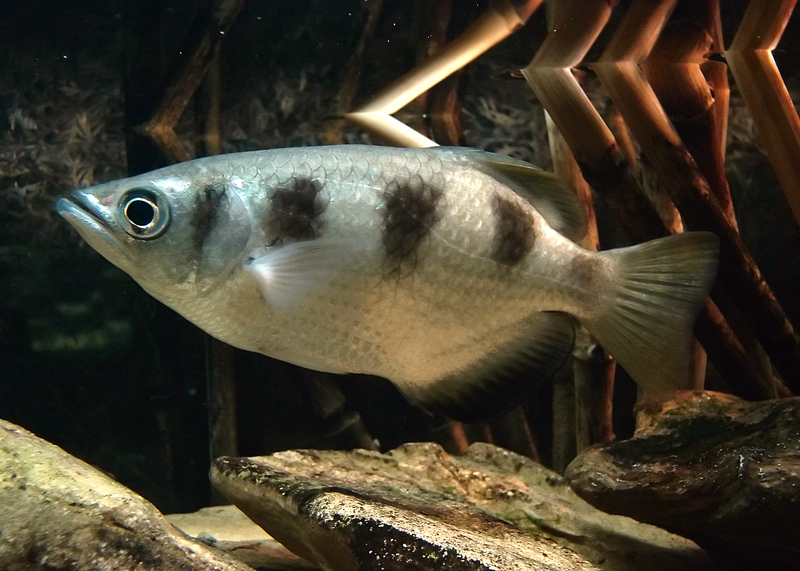 Are there any other interesting facts that you would like to share about banded archerfish?